The fall semester started this week in Universityland, and Mother Nature rolled out the high heat and humidity as if concerned we might all forget it is still technically summer. The mammoth watermelons in our CSA share provide a sweet, refreshing, and hydrating antidote to the oppressive weather. Sadly, the Gent is allergic to all melons, so I’m on my own enjoying these treats. I love fresh, plain watermelon straight up, but with so much to eat, I have taken to removing the seeds, chopping the pink flesh into chunks, and freezing it to enjoy later, too. 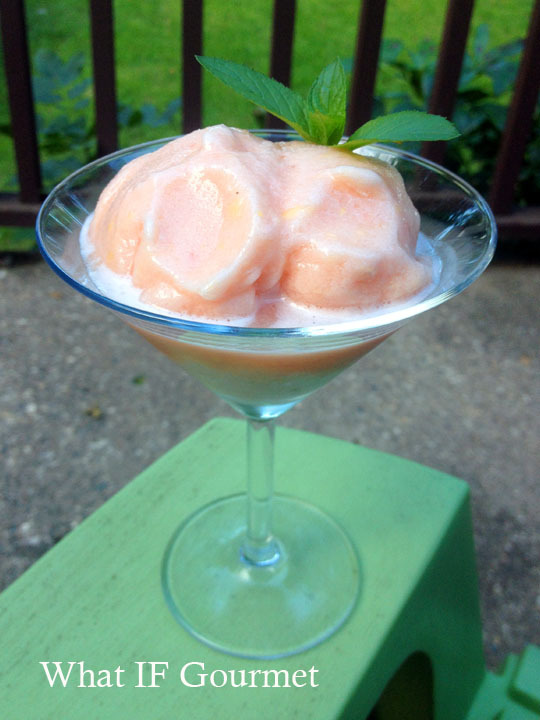 Here are three refreshing ways to use frozen watermelon for a cool summer treat. 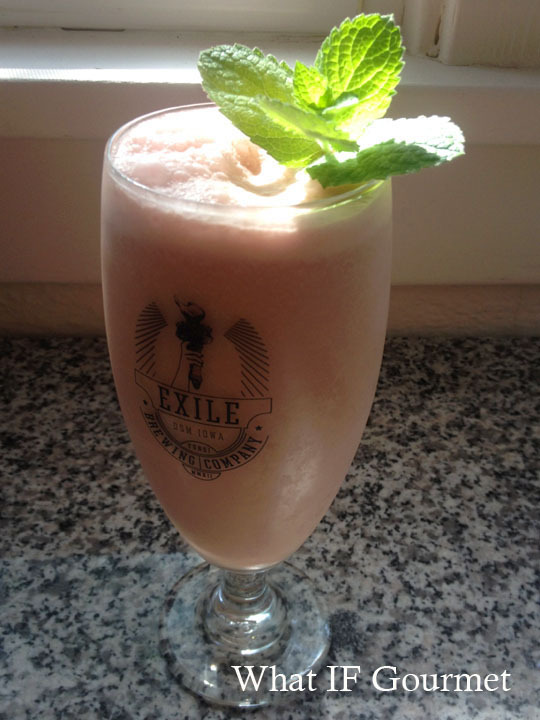 Watermelon Cream Cooler, garnished with mint. Combine ingredients in a blender or food processor and puree until frothy. Serve immediately. 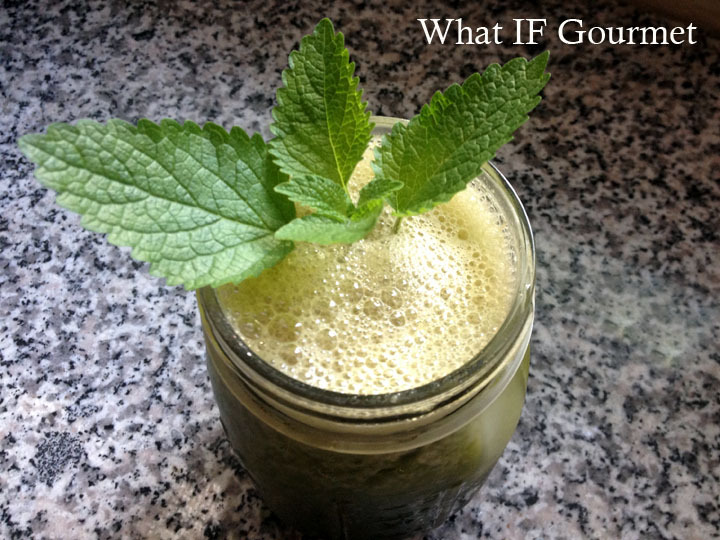 Green Watermelon Chiller, garnished with lemon balm. *If you have a powerful blender like a Vitamix, there is no need to peel the cucumber before cubing it. Combine ingredients in a blender or food processor and puree until frothy. Serve over ice. This drink is one of my favorite ways to rehydrate after a hard workout; its herbal flavor is refreshing without being too sweet. Combine ingredients in a blender or food processor and puree until smooth. Serve immediately as a smoothie; or, to serve as a sherbet, scoop into a freezer-safe container and freeze for 1-2 hours before serving. 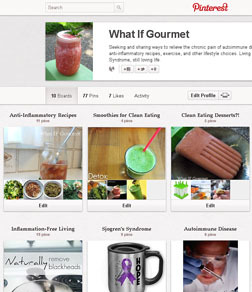 This entry was posted in Anti-Inflammatory Ingredients, Beverages, Breakfast, Dairy-free, Desserts, fruit, Gluten-free, greens, herbs, Nut-free, Recipes, Snacks, Vegan, Vegetarian and tagged watermelon. Bookmark the permalink. These all look good, love the color of the smoothie/sorbet! And I like the idea of combining the watermelon with veggies in the cooler. Saving that one for later, hoping to make it before frost– I’ve got to use the lemon balm plant in my garden for something!